aqueous environment are related attests to the overdue recognition that biomolecular phenomena cannot be grasped without dealing with interfacial behavior at multiple scales. This is essentially the dictum that guided the writing of this book. Ariel Fernandez deals with biological interfacial phenomena in his own unique and transformative way. He introduces what he calls “epistructural tension“, a concept that relates to the reversible work needed to span the aqueous interface that envelops the structure of a soluble protein. Epistructural tension is, he argues, key to biology when examined at the molecular scale since it steers molecular associations, drives protein folding and functionalizes water at the interface, prompting a substantial revision of biochemical mechanism. The impact of this concept reaches distant fields like enzymology, structural biology and pharmacological design, and the book exploits it within an incredibly broad spectrum of possibilities, spanning vast conceptual territory, from statistical physics to molecular-targeted therapy. For example, Chap. 1 introduces a statistical thermodynamics framework to handle the aqueous interface of a protein, while Chap. 17 describes the epistructure-based design of kinase inhibitors with controlled multi-target activity to treat cancer metastasis and overcome drug resistance. In spite of this astonishing latitude of interdisciplinary research, the conceptual progression remains smooth throughout the presentation, as the reader is guided by Fernandez’s characteristically supple prose. Provides a solution to the protein folding problem from first principles of physics (Chapter 3). Provides and validates a nanoscale theory of nanoscale water dielectrics (Chapters 1-5). Provides the first biologic drug to disrupt a protein-protein interface for therapeutic purposes, i. e. to cure heart failure (US patent 9,051,387, Chapter 16). Provides an epistructural filter to control drug specificity guiding the design of safer and more powerful drugs (Chapters 8-17). Emphasizes the role of Fernandez’s dehydrons as structural markers of molecular evolution (Chapter 6). Prompts the rewriting of several mechanistic chapters in Biological Chemistry as the catalytic role of protein packing defects is unraveled (Chapter 7). The book can serve as a textbook, as originally intended, and also as an advanced monograph for practitioners in drug design or molecular-targeted therapy interested in the translational aspects of their art. On the Ariel Fernandez’s dehydrons as structural markers for molecular evolution: “One aspect of Fernandez’s research that is potentially groundbreaking is the observed tendency of proteins to evolve a more open structure in complex organisms. …This observation fits with the general theory that large organisms with relatively small population sizes — compared to microbes — are subject to the vagaries of random genetic drift and hence the accumulation of very mildly deleterious mutations… In principle the accumulation of such mutations may encourage a slight breakdown in protein stability. This, in turn, opens the door to interactions with other proteins that can return a measure of that lost stability. These are the potential roots for the emergence of novel protein-protein interactions, which are the hallmark of evolution in complex, multicellular species… In other words, the origins of some key aspects of the evolution of complexity may have their origins in completely nonadaptive processes.” Michael Lynch interviewed by Rice University News Office on the work of Ariel Fernandez. 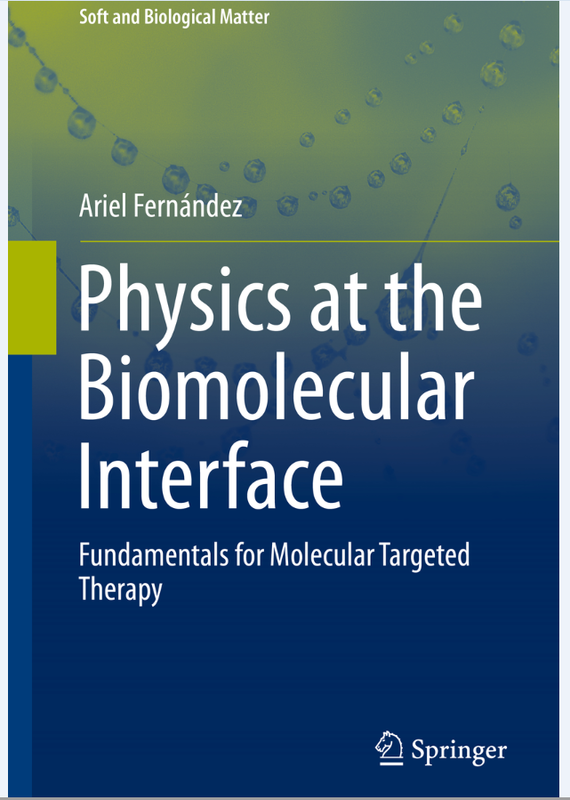 On Biomolecular Interfaces, the previous title by Ariel Fernandez introducing epistructural tension for the first time: “In this book author Ariel Fernandez introduces conceptual advances in molecular biophysics and translates them into novel pharmacological technologies. In so doing, he creates a new discipline named “epistructural biology”, focusing on the reciprocal interactions between interfacial water and protein structure. The epistructural biology approach enables researchers to address core problems in molecular biophysics such as the protein folding problem. The book surveys powerful theoretical /computational resources in epistructural biology to tackle fundamental problems, such as the physico-chemical basis of enzyme catalysis and the therapeutic disruption of protein-protein associations. The latter is recognized by many as the biggest challenge in structure-based drug discovery. A multi-disciplinary approach is exploited to engineer drugs, enabling decisive advances in molecular medicine with a tight control of drug selectivity. This book may well be Ariel Fernandez’s greatest contribution and its conceptual insights will enlighten and inspire readers. The author is also a masterful expositor which makes the book a pleasure to read.” Valentin Andreev. Another comment on the previous title by Ariel Fernandez: “First and foremost, this book addresses an issue that is very important in protein research, namely, the interactions between a protein molecule and its surrounding water environment. This very complicated relationship is often simplified or ignored in molecular modeling. Such an ill-considered strategy simplifies the model but leads to unrealistic predictions of molecular behaviour. By contrast, this book introduces the reader to Epistructural Biology, a model that covers various important aspects of the protein-water interaction. The model is explained with an articulate clear writing style and backed up with enough mathematics to put the ideas on a firm theoretical foundation. The book is suitable for advanced undergraduate and graduate students. To help the student assimilate the ideas, the chapters include several problems with solutions. This is an excellent introduction for students wanting to get a start in Epistructural Biology.” Forbes Burkowski. “Biomolecular Interfaces may well be Ariel Fernandez’ most authoritative work. In Chapter 3 we find a semiempirical solution to the protein folding problem, in chapter 5 we find a way to disrupt protein-protein interactions for therapeutic purposes (a major challenge in the pharmaceutical industry), in chapter 7 we find Ariel Fernandez’ striking new finding: the catalytic role of packing defects in proteins, ushering a new biotechnology. The applications to drug design in the remaining chapters bring us many surprises, including a quantum mechanics development of the wrapping drug-target interactions pioneered by the author. Ariel Fernandez’ Biomolecular Interfaces is enjoyable and rewarding. Its conceptual richness, style, and breadth of interwoven disciplines, from Statistical Thermodynamics to Molecular Medicine, make it a valuable asset.” Xi Zhang. Ariel Fernandez (born Ariel Fernandez Stigliano) is an Argentine-American physical chemist and mathematician. He obtained his Ph.D. degree in chemical physics from Yale University in record time. He held the Karl F. Hasselmann endowed chair professorship in engineering at Rice University and was a professor of bioengineering until his retirement in 2012. To date, he has published over 350 scientific papers in professional journals including Physical Review Letters, PNAS, Nature, Genome Research, and Genome Biology. 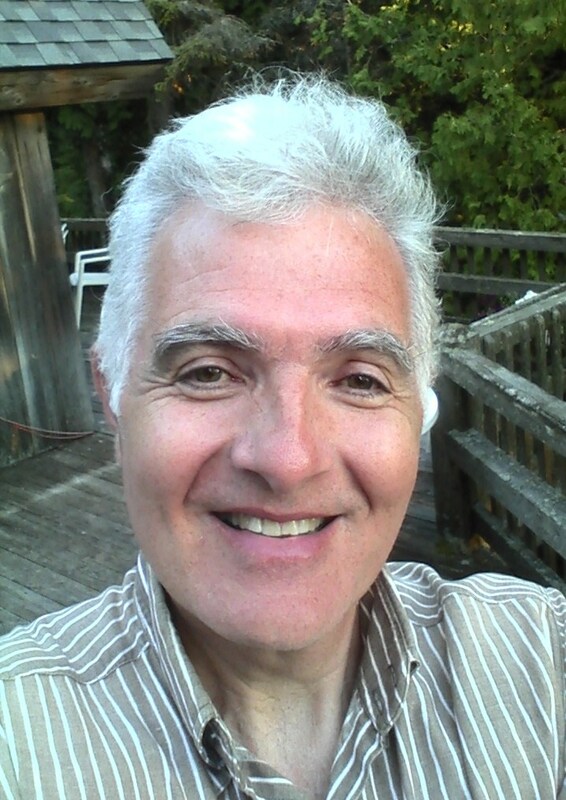 Ariel Fernandez has also published two books Transformative Concepts for Drug Design (2010) and Biomolecular Interfaces (2015), both with Springer, and holds two patents (US 8,466,154 and 9,051,387) on biotechnological innovations. He is currently involved in research and entrepreneurial activities at various consultancy firms. Posted in Ariel Fernandez, Ariel Fernandez book, Ariel Fernandez books, Ariel Fernandez Research, Ariel Fernandez Stigliano, Biochemistry, Biotechnology, Book review, 阿列尔·费尔南德斯, Hasselmann Professor at Rice University, Michael Lynch, Physics at the Biomolecular Interface, Rice University, Rice University News, Springer Soft and Biological Matter.Tagged Ariel Fernandez, Ariel Fernandez book, Biological Matter Physics, Biomolecular Interfaces, George Demetri, Peter Rossky, Physics at the Biomolecular Interface, Thomas Force.